This episode features Terri Vaughan, professor of actuarial science at Drake University and CEO of the NAIC during the Great Recession. We can call this the Not Unreasonable 10-year retrospective on the financial crisis. I first came across Terri's work as an actuarial student and been fascinated ever since by her case for state regulation and citation of the insurers' performance during the financial crisis as evidence in its favor. 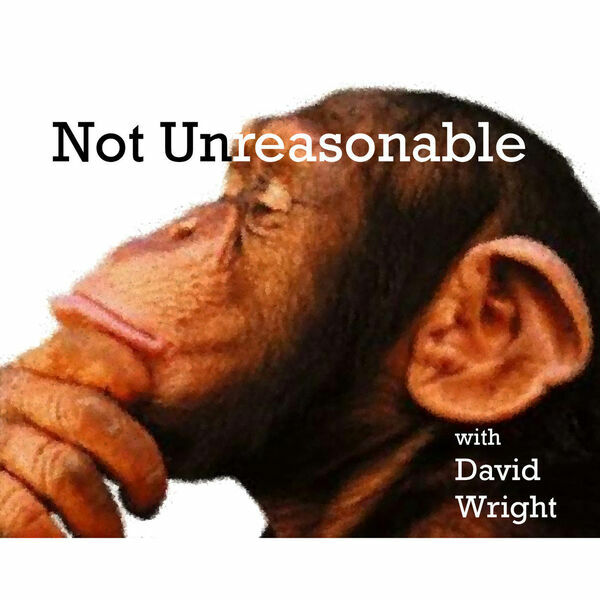 David Wright:1:46My guest today is Terri Vaughan. Terry is the Rob B. Kelley visiting distinguished professor of insurance and actuarial science at Drake University in Des Moines Iowa. During the financial crisis Terri was the CEO of the National Association of Insurance Commissioners a support organization for state insurance regulators. Prior to joining the NAIC Terry spent time in both academia and in regulation. As Iowa Insurance Commissioner and NAIC President. Terri. Welcome to the show. David Wright:2:42So you wrote a paper during the financial crisis promoting the efficacy of state regulation of insurers as distinct from federal regulation of banks, let's say, and the proposed federal regulation of insurers or implicit proposal for that. And I studied this paper as an actuarial student and found the arguments absolutely captivating. You write elsewhere of the concept of market discipline as another regulatory force. But as I read your work and think about insurance regulation I'm always struck at the debate between state and federal regulation feels kind of similar to me that a regulation at all versus market discipline as it is this an insurance booster of say regulation or anti centralization emphasize diversity of markets and local knowledge. These are both libertarian kind Hayekian ideals and only in a very insurance kind of way, try to talk their competitors into making better decisions which is something insurance companies do all the time. Then what do you think about this comparison between state regulation and market discipline. Terri Vaughan:3:34I think it's an interesting parallel and I hadn't really thought about it. But your pointing to libertarian Hayekian ideals is interesting because I do think that there is some grounding there that's that similar in theory though you can have a regulatory system and a market structure that promotes market discipline at either the federal or the state level. So it doesn't really that the the the place at which the regulation is happening shouldn't have any impact. It's all about having a structure in which the financial institutions whether it be banks or insurance companies are incented to engage in the right risk taking behaviors and you do that by making sure that their counter parties their depositors their policyholders the people that are lending them money their creditors are given have to bear the losses and if they have to bear the losses then they're going to give an incentive to the companies to take the right kinds of risks in banking. Historically you know when you go way back in banking there was market discipline and banks policed themselves. Terri Vaughan:5:01from the 1920s through the multiple bailouts multiple crises and bailouts. And then it draws the parallel between these bailouts and the increasing ties between Citi and Washington. The Federal Government was kind of back and forth. People who are leaving the bank to go to Washington are leaving Washington to come to the bank. So it's perhaps not surprising that the Bank increased its connections to Washington over time as that became more important. So in theory you can have a structure that that promotes market discipline at either the federal or state level. And there was a lot of discussion in Washington even in the 1980s about market discipline and the fact that we don't have enough market discipline on banks. The question that I've always asked myself is Why is it that that seemed to have happened more in banking than it did in insurance. These bailouts these serial bailouts have happened in banking not so much in insurance. David Wright:6:02And why is that. Why is that. Terri Vaughan:6:04Well it's a really good question and I think my questions are at least one of the things that I'm interested in. David Wright:6:10I think it has something to do certainly with the resources of the federal government. States don't have the resources do this kind of. David Wright:6:42but do you think that's a corrupt thing though. Because I feel like one of the things is I think to be underappreciated or maybe under.. maybe not acknowledged, maybe not.. maybe that.. maybe it doesn't exist I don't know but I feel like whenever I encounter people who are say bureaucrats or regulators.. Man they got the right.. their hearts are in the right place. David Wright:7:03They want to do the right thing. David Wright:7:04And so it's like if you have these two facts on the one hand you have people who are trying to do the right thing. The other hand you have some pretty perverse outcomes right kicking the can down the road. How do you reconcile them. Here's my thought my thought is it's actually information problem. So these people think that lobbyists you have the revolving door thing.. go work on Wall Street. And then I think that the image that conjures up is one of absolute corruption. You know like you're like you're in Afghanistan or something. Right. But I think it's actually more about a mindset which as you mentioned a second ago that winds up that winds up I don't want to use too many disease metaphors here but infecting or at least taking over and they believe what they kind of were trained to believe are selected for leaving the private market that you do need bailouts for example. And so they don't have that independence or perspective on the problem because the information they're getting is all from people who are very biased. David Wright:9:30even the meta-problem is very well known, right. I mean the author of the book by Mancur Olson The Logic of Collective Action where this whole idea here of like small highly motivated groups can get a lot done. Because they're so highly motivated that concentrated benefit and diffuse cost. David Wright:9:44So let's take a penny from everybody and give it to me. Yeah boy that'd be nice for me, I'm going to advocate for that. For everyone else, it's like.. a penny. Terri Vaughan:9:50Exactly. Exactly. Yeah there are those things that industry cares about. They're going to put a lot of lot of effort into it and they're going to put the resources into it because there's a payoff for it. Terri Vaughan:10:00And that that's a constant challenge when you're a regulator. David Wright:10:04So let's let's actually back up a little bit talk about the NAIC. So you spent time as a state regulator in Des Moines and you joined this thing called the NAIC. Right. So what is the NAIC and why did you join it. Terri Vaughan:10:15So let me back up for a minute because I was a professor at Drake before I was insurance regulator. And at that time I actually went to NAIC meetings as a professor so I know what you see as an attendee for probably five six years before I became commissioner. Terri Vaughan:10:33insurance actuarial science and insurance. David Wright:10:35Was it common for professors of insurance and actuarial science to attend to the NAIC meetings? Terri Vaughan:10:39No it was not. David Wright:10:40So you are an exception here. Terri Vaughan:10:42I was an exception. And the reason was because I was the director of what was called the insurance Center at Drake University at the time. And we did consulting with state regulators. We had and we helped them with the continuing education agent licensing exams. And at one point early in my tenure at Drake I was invited by asked by some other financial regulators from New York Illinois. Well particularly Illinois the commissioner of Illinois approached me about developing a an education program for regulators in honor of Ken Smith who was a very prominent regulator in Illinois who had passed away. So we developed this and it was a two week on campus regulars from around the country would come in spend two weeks on campus of Drake working through financial regulation issues. And so through that process I got to know a lot of regulators so I knew a fair amount. Before I became insurance commissioner. Speaker 16:11:41So we're pausing for a second and an observation because you know some of them and some of them and some one of the things that occurred to me and I'm sorry to interrupt you but that's really want get this point because I think it's really interesting as you were describing the problem in Washington and anyway with access to power to call it controlling the agenda. That to me is actually call it a somewhat pernicious example of a model which applies everywhere which is you know I think it was my job in sales is to try to get access to people. It's a networking job. I mean everything in life is networking right. If you want to learn more, you have to network. The network if you want it. No matter what your goal is the answer is usually communicating with people somewhere. David Wright:12:20And here you have a situation where your development in your career path was by people you know. David Wright:12:27So please do continue. Right. Observer at the NAIC. David Wright:13:28and they probably paid for it I guess. Terri Vaughan:13:30So they the regulators actually pay a small amount of the budget of the NAIC. The majority of the budget of the NAIC comes from products and services that the NAIC sells from fees that insurance companies have to file them and they have to pay when they file their financial statements with the NAIC. So state laws say you have to file your statements with the NAIC. And the NAIC says Yeah but you have to pay us to do it. So they get the money from that. But so it's the structure of the NERC has probably 150 200 different committees and working group goodness that are dealing with different issues. Terri Vaughan:14:14And those are all staffed by the regulators from the states and any I see staff and support the regulators in coming to policy conclusions or doing the work. So it's a highly engaged it's a it's a forum where regulators from the different states spend a lot of a lot of time a huge amount of time working together to think about issues in a coordinated way. And what was the rest of your question..
David Wright:14:46What I'm interested in is how it's structured and you got to that. What does it do. It coordinates regulatory action. David Wright:14:57And through these committees. That's the way it does it I guess. Terri Vaughan:15:00Well yes so it is you know if you go back. It was created in 1871 when Paul versus Virginia said insurance is not interstate commerce. 1869 1871 the states say oh OK that's not interstate commerce. But we've got this national industry. We better hope you're out how we're going to work together to regulate it. And so they formed this organization I think it's the longest standing organization of state officials in the country and they started to work on ways to make it easier for companies to do business in a cross-border way. You have to have some consistency in how you doing things for companies to be able to do that. Because remember any company that wants to do business in Nebraska has to be licensed in Nebraska wherever they come from. And so how can you and they have to file financial statements. So how can you make this process more seamless and you know one of the ways you do that is by having a certain amount of consistency in the filings it has to be done centralized filing with the NAIC a see through the database sharing information. So 40 percent back when I was CEO 40 percent of the budget of the ending I see was information services information technology and a lot of databases that have a lot of things that the states can sign onto to communicate with each other confidentially. There's a lot of information sharing that goes through this. David Wright:16:28The NCIC which is 100 percent of the revenue are you know 90 something percent of revenues associated with those services. So that would make some sense I guess. Where does the rest of the rest of the rest of the as you budget was taken. David Wright:18:29Then maybe we should just give it to the feds because right then that there is already a coordinating body for this kind of strike. Terri Vaughan:18:37Yeah I understand that and it is something that I and I found confusion about the NAIC everywhere I went in Washington. David Wright:18:49They thought it was a federal agency! Terri Vaughan:18:51There was some of that. There was some. But you have to remember the NAIC is not a regulatory agency that he has he doesn't have any regulatory authority none. And the only regulatory authority is housed in the States. And so this is a peer to peer pressure peer to peer system. And what creates the pressure on the states to have effective regulation is not some you know top down this is what you have to do. It's the other states calling into account the fellow state. And so a lot of the structures of the ending I see are there to make sure that the other states have the information that they need. David Wright:19:42don't push me around. Terri Vaughan:19:43Don't push me. They there's an organization for financial analysis working group which is one of the committee's working groups at the NAIC where NAIC staff and regulators will comb through financial statements of these nationally significant companies and if they see one that looks questionable they will take it to a committee of regulators and those regulators will say to the domestic regulator the state where that company is domiciled primarily responsible for regulating come on in and talk to us about this. Now you don't like getting of those things I can tell you. You don't like getting it. And there's a little bit of you know why am I having to go. But the fact that you then have to go and answer questions to your fellow regulators creates a certain discipline in how you approach things that I think is really healthy. David Wright:20:39It's kind of previewing it or Sifi idea right. That that was a nationally significant insurance thing the language is even similar to the significant financial institutions following the Dodd Frank Act. I mean there are a lot of parallels in the banking and insurance regulation you had this extra layer of insurance of the states. So maybe we can talk about what what are what are the arguments for and against state regulation. Talk a bit about obviously the coordinating function.. that's necessary. And so there's a there's like I said before there's already a coordinating force in our society that the federal government. Why did why is the regulation. David Wright:21:17Congress kind of acts in a similar manner to, to..
Terri Vaughan:21:18Congress does. Yeah yeah. David Wright:21:21to, to, ah, call it the NAIC. Terri Vaughan:21:23Yeah there's a there's a lot of work that goes into complying with federal regulations. We saw that when I was commissioner in the health insurance area there's there's a lot of effort that often you wonder is this really worth what we're doing here what is this doing for our market and our consumers. So the you know the traditional arguments that you will hear about state regulation are the laboratory the states. That's the big one sure how states can experiment with different things. Diversity of markets. We need to be able to respond to local markets. I think one of the biggest strengths of state regulation is the diversity of thought. The fact that you don't and this is something I think that as the any I see becomes a bigger and bigger force in regulation the states have to guard they have to really be focused on making sure that they maintain that diversity of thought. When I was a regulator and it's still the case New York would think about things differently than Illinois. Yeah. And that would cause you to go to a meeting and really engage in a very deep conversation about how should we look at this issue. David Wright:22:43You have two different perspectives.. what's right about each one. Terri Vaughan:22:53constructive. I think that is a very powerful feature because it's not a you know kind of people at the top making the decision and sending it down. It's a very diverse you know way of looking at things and then you have to figure out how do we pull these two together. I think that's one. I think the other big advantage of state versus federal regulation is leveling the playing field in the industry. And this goes back to the conversation we had earlier about who gets access in Washington. There's so much responsibility in washing so much power in Washington who gets the access and the access or the ones who know the policy makers on a personal level. You know they they maybe their kids went to the same school and they go to the same country clubs or whatever. It's a it is much tougher for a mid-sized company in Des Moines Iowa to have the kind of access that I know pick a company. David Wright:24:05and that is one of the striking features about the insurance business for the last X number of years called 20 30 whatever it is it's consolidation. So yeah but at the same time what's incredible about the insurance industry is actually how many insurance companies are out there. Compare that to I don't know any other industry you can think of manufacturers like smartphone makers there's like three in the world for that matter. And then you have these literally hundreds and hundreds of insurance companies all around the United States. David Wright:24:34What is going on there. Terri Vaughan:24:35I don't know except they you know they compete and they thrive. Some of them are in very Niche kinds of places and businesses. And you know somebody focuses on jewellers and somebody focuses on farms and they do well. I don't know I was so my father was a professor of insurance. David Wright:25:29And every other business they would get extinguished it right. And they would just like would go out because they would get can. I mean if you're if you're in any other business I don't think that the power that brand recognition the called economies of scale whatever it is. And I think of the you know the the forces that are pushing back against that I think is is this idea of relationships and locality. Yeah I think I think so. You know a local insurance company a local agent and that and people are saying I don't care if Travelers is cheaper. I don't care. I don't deal with this guy because I know him. Terri Vaughan:26:02Yeah I think there's I think there's probably some of that but I think also you know don't underestimate the being an expert in some area focusing focusing given what you're doing in regulation. I mean any insurance taking this risk which is constantly changing that being an expert in that particular line of business or industry is it's probably useful. David Wright:26:30I think that generally it's easy to overlook or underestimate the diversity of insurance and that everything kind of a similar thing there where actually you go back to this Paul vs Virginia Supreme Court case of this guy who was selling a insurance policy from New York sold of insurance policy. Samuel Paul was his name and in Virginia. And the question is whether the New York regulator the local Virginia regulator it was like "insurance is a contract delivered locally" was the quote. And so after that now you have the NAIC and so you have this tension right. So is it local. Is it national. It's both. It's hard to tell. And so you have this institution both these institutions that they really push regulation and federal regulation. Yeah I like it. Terri Vaughan:27:11Because when back in the days when I was insurance commissioner and we were trying to modernize our system of regulation. George Nichols I think was the president of the NAIC when we did what's called a statement of intent. There were all these things we were going to do. But one of the things we struggled with as we were coming up with this statement is the fact that the industry is very diverse that there are different lines of insurance and they have different characteristics and some are more national than others and we used to differentiate between for example auto or homeowners versus life insurance.. Life insurance its interest rates.. Mortality. It's much more dealing with kind of large national and international forces. And so how could we maintain this kind of local on the property casualty side recognize that there were more local influences there but create a structure on the life insurance side that allowed companies companies were complaining at the time we got to get a product approved in all 50 states since every state is making their own little tweak to it and it's very expensive and that's how we came up with what's called the Interstate Compact. Now his company can file their product with the interstate compact get it approved and it's automatically approved in all of the compact states. David Wright:28:33Right. And that's that doesn't happen in any property and casualty. Terri Vaughan:28:37No. No it doesn't. Terri Vaughan:28:38No it doesn't. Right now I think there there is an argument to make that there may be some areas of Property Casualty where that makes it more likely in the commercial lines area. David Wright:28:50Sure excess and surplus. David Wright:28:54That's what it winds up doing right. Terri Vaughan:29:14Yeah, those were called compacts, yeah. David Wright:29:16And that was a.. which... And I think that those were the trigger for undoing state regulation was actually because their figures are.. They were they were encouraging collusion amongst these local insurance providers. So for example so it's going to come back to structure regulation back in history where my.. in my mental kind of model on that which was it was basically all rigged. They set the prices everybody has use the same price. All the insurance companies and let's say this was Georgia I think was where was this case. And and if you want to come in as an insurance company you charge the prices and basically you're not allowed in. So don't bother trying. And the agents in some way controlled this anyway. It was this is this environment that was heavily locked down and that itself was a reaction. So there's no price competition. That itself was a reaction to actually insolvencies before that were insurance companies that cut their rates to you too deeply and they're not charging for it and they go bust. David Wright:30:09And it explodes into this spectacular thing and ok, that's a problem too.. OK fixing prices and now everyone is going to make money. Right. Which is not usually what you think regulators are going to try to do.. is help the companies make money in insurance. And unwound the price regulation that created.. You know the compacts go away. Terri Vaughan:31:08They had things like if you're not a member of this rating bureau you if you're a member of this rating bureau you can't do reinsurance with any company who is not a member who doesn't have insurance. So they were really kind of closing off the market and and and my recollection is that one of the attorneys general maybe Missouri was trying to go after this. David Wright:32:35I actually want to go back a step and then we'll go forward just to make it crystal clear this is not something that you necessarily think about very much in our era of highly I don't know protected individuals financially.. where you.. We have all this... You have deposit insurance. We have this guarantee funds and we're not used to thinking about this particular problem and this problem being bank runs of banks insolvencies and insurance insolvency. So what happens before we had any guarantees. Back in the 1800s if your insurance company went bust. That means that you walked in you bought a policy and then your house burns down and you go to the insurance company and say my house burned down. I need to submit a claim they're saying sorry we're out of business. David Wright:33:12And you're like oh what do you mean it doesn't say.. You don't get any money for that.. Your house is gone. You thought you had insurance.. You didn't because our company's insolvent. David Wright:33:20And then so now you have a highly motivated voter who is going to go out to go to the politician and say Don't don't make that happen again. And then now you have. That's where it comes from. You know which is which is are understandable urge. And now you have the collusion which had created and the pendulum is swinging back and forth. Terri Vaughan:33:39But what's interesting is how this issue of rate regulation evolved over time because in the beginning rate regulation was a make about making sure that companies didn't engage in destructive competition. Terri Vaughan:33:53Now we are in a world where rate regulation is viewed as let's make sure that those companies aren't gouging consumers. Terri Vaughan:34:01just the direct opposite of where it started. David Wright:34:29not with respect to rate regulation. They don't. That doesn't count. Terri Vaughan:34:31No they do actually that the mandate is that you know in most states rates have to be reasonable not you know not excessive not inadequate not a very discriminatory. That's the statute that's the language of the statute in most states so the not inadequate. Yeah they care about the rates being being high enough. It's difficult for a regulator to say to a company I think your rates are too low. You need to raise them. I'm not saying it hasn't ever happened but that's a more challenging thing for a regulator. But what regulators can do in this what they do is they watch the company and they watch the company's financial results and ideally at the first hint that there is a problem in the financial results which low rates should manifest themselves in their results they catch up quickly enough then they take the company over and they can force the company to raise its rates. David Wright:35:33And so I guess the the mechanism for solvency regulation is not price regulation anymore. Now it's these other things that they might think. David Wright:35:46actually looking at the operations of a company looking. So let's let's actually turn to this. There's this thing called the Dingle reports. So there is a senator in the 90s for Michigan John Dingell produce two reports which I learned about by reading some of your papers and your materials and I hadn't heard this before and it's really interesting. And so the first one was called Failed Promises. I think it was 92 or something and second was called Wishful thinking. So pretty provocative titles. And I'll give you my kind of impression of what they what they kind of got. And you let me know what it was what it felt like at the time and what you think of it. So Phil promises it. This was published following an extraordinary dislocation in the 1980s in the insurance business where you know there has been subject of a few other episodes of this podcast that we're talking about that that period of time and it is just incredible liability crisis. People call it companies going out of business all over the place. It's obvious that people's radar screens because calling guarantee funds a lot of money and maybe some policyholders are getting getting getting frozen out of the order to get their claims paid. And so comes the attention of the Senate Senate committee has this report and the substance of the report was saying regulators didn't do enough. They made promises and they failed to keep them. And there's a problem here. And one of the solutions was this must be a federal federally regulated industry because because will do it better. Yeah and then I'll skip the second one and get your reaction to the wishful thinking was more of a commentary on the process of regulation saying regulators tend to monitor more or less what's going on now but they don't actually look at the underlying mechanisms. And I hope it's going to work better by put by putting some wallpaper solutions kind of up over top of things and not actually achieving any change in the companies. How am I doing with my understanding of these reports. Terri Vaughan:37:28I think I think reasonably close yeah they were they were pretty critical of state regulation. I think when you look back at it this was a time of dislocation not in the insurance sector but in the banking sector. Yes there were you know the savings and loan crisis yet a lot of commercial borrowers fail. The FDIC was you know massive out pouring of funds from the FDIC. So I think it would then astonishing had there not been some failures in the insurance. Terri Vaughan:38:02So you know the idea that well this should be federally regulated because because the federal government does such better job at solvency regulation I mean that you can dismiss that quickly and fairly quickly. David Wright:38:17But he didn't it just because he's biased being a federal politician. Terri Vaughan:38:20I think I think there there is. I spent four years in Washington when I was CEO of the NAIC. Terri Vaughan:38:27And there I remember having a conversation with someone at one point who was in the federal bureaucracy and was trying to figure out what to put in Dodd Frank to address a certain issue. And I said to him Why don't you just not deal with that issue and let the states deal because there are smart... Believe it or not there are smart people in the States too. Terri Vaughan:39:20yeah so there's this culture in Washington. David Wright:39:43and they know and their IQs are like this and they went to Harvard and blah blah blah. And they're going to make all these great decisions and they go wander into the Vietnam War and it's this disaster. David Wright:39:53And you think well thanks for that. And it's not just about being smart. It's about the knowledge of local knowledge for example smart we're all pretty smart guys kind of thing. David Wright:40:04And it seems to me that that's an inherent feature of Washington and feature of anybody who's distant and smart who thinks I know more than you because I don't know you so I'm going to assume the worst of you. And then I know that I've done so many good things with my look on my resume. Let me just figure it out. You know I can figure things out. It's hard to talk them out of it! Because you can't really dispute the premise in some ways. You can't say no you're not smart because you know they all know they are smart. Terri Vaughan:40:27Yeah they are smart but this is why I said there are smart people in the States too.. you know don't tie their hands. Let them think it through and my experience with Washington is that too often it was about hand tying. And the more we can get now I'm showing my political kind of perspective the more that we can free the states from tying the hands of from Washington tying their hands and the better we're going to be in this. David Wright:40:58This mix of political philosophies that underlies state regulation because he that relationship. Absolutely. I find it so interesting because so much and I make this point at the beginning of this conversation so much of the ideas are typically considered very right wing ideas right the idea of states rights the idea devolution of power. Let them figure it out of every kind of closet libertarian ideals. I mean these are not things that the people in the libertarian call it political philosophy think they're going to hear from a regulator! David Wright:41:33And you've written papers the Cato Institute right leaning think tank and I mean do you get frustrated when you when you do do you. You probably are aware of this bias and you're probably aware that like it's not that simple guys. Terri Vaughan:41:47Yeah yeah yeah. It's not that simple guys. Yeah I am I. I am. I'll tell you where it came up a lot was in the international arena. Terri Vaughan:42:50and a different way in thinking about problems. And so yeah. David Wright:42:54Yeah. So to make sure we get into the financial crisis because that was such an interesting episode in history and I mean you were right in the middle of it in Washington during that time. Tell me about maybe the moment when you realize this is big something big is going on here. David Wright:43:51It's all kinds of bailouts.. the Mexican peso crisis, long term capital management, on and on the list goes. Terri Vaughan:43:56Exactly. So. So we've we spent you know a little bit time kind of reading things and talking about those things. And then Bear Stearns happened. And I remember going into class the next day and we talked about Bear Stearns and we talked about the implications of market. And I remember thinking this is not this is not over. This is you know that the canary in the coal mine kind of thing. But of course it was the weekend of the Lehman AIG thing that that really. David Wright:44:31Is that when you had joined the NAIC, that summer? Terri Vaughan:44:45no, no, just, ah. she'd been there for quite awhile and I think was ready to move on. And so that I had gotten called and I just I was I was on some boards. I was teaching at Drake. I was I was liking where I was and so I said no and then I spent the fall and never forget I spent the fall because I thought I was thinking this could be this could be like the 30s. Terri Vaughan:45:38Well I'll tell you that one of the... Best one of the most fascinating things I saw and I did write a paper about this too was the debate over fair value accounting versus something more akin to amortized cost. It was a fierce debate and the language that was used was identical to the language that was used during the financial crisis. You know the the the the larger controversy. David Wright:46:05Was it a liquidity problem or a solvency problem..
Terri Vaughan:47:33in the middle of all of them in the middle of things while they were happening. David Wright:47:37And so let's let's go back to that commentary that comment from the investment banker because you know now we have a situation which was those same bankers were going to Washington saying there's nothing trading this is the biggest catastrophe to ever have happened upon the financial markets. We must do something now. David Wright:47:56and that's access to them and information flowing to them. How do you. How did it feel to you hearing that. Did you and you sympathize a bit more with the people in Washington. David Wright:48:15do feel like it was the right decisions? I mean these bailouts and all of that.. I mean.. Would you have thought so beforehand? Terri Vaughan:48:24I you know. There is. You never know what would have happened. Terri Vaughan:48:33the counterfactual. You never know what would have happened. If. Bear Stearns had been dealt dealt with differently. Yet you'll never know. And I remember someone saying to me and bear Stearns was the fifth largest investment bank in this country if it couldn't fail. Come on. You know it was there. So yeah this is you know I don't know I don't know. But I. Look at I. I don't know all the details about what was going on at Bear Stearns. I don't know. I am. It's tough to make decisions in a time of crisis. And so I'm going to you know give my sympathy of those people but I can't help but wonder what the alternative might have been. You don't know. You'll never know. David Wright:49:40OK that's what we're talking about AIG and financial guaranty insurance companies as they reflect on the performance of the insurance industry. You know they they all kind of went bust but not really for insurance reasons were not for P&C insurance reasons. Right. Were you familiar with them at the time. Terri Vaughan:49:57Well so the AIG I mean I know you know the story of AIG which was it was this credit default swap business which was outside the insurance companies. Now there were some issues related to securities lending as well. But the big problem with these credit default swaps. And when the bailout of AIG happened it was essentially it was I would frame it as it was a bailout of the banks and the money in the first quarter AIG didn't get it my it went out the back door to European banks and U.S. banks. David Wright:50:34There was a bailout of Goldman Sachs. Terri Vaughan:50:36But it wasn't just a bailout of Goldman Sachs it was a bailout of European bank.s And and I find that interesting because there's no way that the Federal Reserve could have directly bailed out those European banks. David Wright:50:58do they know that at the time do you think. David Wright:51:01What they were really doing. Terri Vaughan:51:02Absolutely. I know for a fact that they did. David Wright:51:06So Why did they do that. Because that because it doesn't matter if too many banks go down as a matter of where they are. They're all interlinked and that means all the banks over here will go down if you.. you.. right. Terri Vaughan:51:50I think it's just too much just a lot of stuff going on. So anyway so I think it was I think it was the unknown about how it would play out. David Wright:52:02It's a pretty special case. And the financial guaranty companies? Not bailed out went bust then it got resolved. No big deal. So is that evidence for not being as bad as it looks. How strong evidence is it. Terri Vaughan:52:18You know I would say I would say given the magnitude and the horrific problems that these financial markets faced the industry did pretty well and not only that but the industry you know as I've often said was a source of stability. The industry was the first one to come back into the market and start buying up these undervalued securities. The industry was not dumping securities the way some other financial institutions were. So they kind of they kind of held held held there and granted it was rocky. I'm not saying there weren't. We didn't worry. We did worry. We were we were watching these companies closely. We know put together a special team to do deeper analysis. But we you know we we were waiting. We thought OK if it's a big deal remember you may remember Hartford had the the first quarter of 2009 was really really bad was really you know we were watching the S&P every day you know and then the big question is what is it going to be on March 30th. What's it going to be. David Wright:54:10yeah, as opposed to saying OK well let's make them all federally regulated as an alternative. So what do you do. Did you find that. How do you find Washington if I can use that kind of blanket now respond or react to the fact that the insurance industry did OK. That was where there were there lessons that other folks might have taken from that saying maybe there's something different about the way this is or and that it did give them pause you think. Terri Vaughan:54:36No no no I don't think so. I think there's still a Well I think actually I take that back. I think it depends on who you talk to. So there are probably different views but there are some in Washington who would say that the insurance industry benefited from all of these other things that the federal government did and had that not happened then the life insurance industry would have been in big trouble and the life industry was out there during the height of the financial crisis. In fairness they were all knocking on the door of Treasury saying we want access to TARP at the end of the day then when you have to jump through hoops there are only two that did it but they were in there saying we want access to our TARP or you know going to the Federal Reserve and saying will you give us a liquidity backstop if there's a run on. You know people are worried about the guarantee funds. Can we get a liquidity... You know borrow from the Federal Reserve for the guarantee funds and the fed said no you're not federally regulated we can't do that. Or so I heard let me say I heard I heard this but. So... Those... Activities suggested that the industry was really concerned and as I said we were all concerned but then the other thing that they will point to is AIG. Terri Vaughan:55:59Yeah it's hard. It's harder. Yeah. It's hard to fight back and explain away the AIG. David Wright:56:04Yeah yeah. One of the interesting observations that you've made. In discussing the trade offs between state and federal regulation is and I think you mentioned this earlier in this conversation is the nice thing about state regulation states is that they don't actually have the money to bail out all these companies right. Travelers being based in Connecticut, maybe? David Wright:56:26That state doesn't have enough cash to be travelers just. Right. Right. And so that's actually a good thing in this conception and kind of a libertarian conception and is because the resources or starve the beast kind of thing. Right. You don't have the resources to make these decisions which you kind of want to do but are actually bad in the longer term. That to me is interesting in a few ways one because it's surprising to hear that the argument from a regular regulator but it's also interesting because it actually seems to me to be a disempowering of the... So think of it this way so regular is what do they do. What do regulators do. They have rules.. They enforce the rules right. That's one kind of way simple way of thinking. But the Europeans certainly agree with that. And if you if you're going to enforce the rules you have kind of resources to enforce the rules. And so by that logic right you know again this sort of libertarian idea where every law is backed by the military power of the U.S. government right. So if you break the law ultimately there's a long chain of events which might end it more or less then taking you by force and making you do something that you broke the law and didn't want to do. But it's interesting. There really is a limiting feature of power that gets plugged into here.. seems to be something that is almost contrary to the philosophy of really every single thing a government says it should do is ultimately backed by extraordinary and unlimited force. Right. And you're saying actually unlimited force is not is not actually a good thing in this case with regards to financial regulation. We want to limit our ability to act in some ways because that actually leads eventually to better outcomes is this making sense this sort of..
Terri Vaughan:57:59I understand exactly what you're saying. Here's what it is. What is the balance between regulating the activity and allowing room for innovation. David Wright:59:20it amazes me that insurance is actually how interlinked it is between all these different institutions be they call your policyholders your stockholders.. you have regulators you have rating agencies we haven't talked about rating agencies.. I'll be Interested to hear what you think about that institution you have reinsurers. David Wright:59:38People are watching each other. Right. David Wright:59:41So many legs on the stool! Terri Vaughan:60:02It's true. You just can't do it. You can't do it. And so you need a structure where there's a lot of pieces to how this industry is is disciplined and the reinsurers do that and the rating agencies do that the agents and brokers do that. So and the regulators do that. David Wright:60:23I mean you can again sympathize in some ways in an intellectual way to have a federal regulator look at that and say there's a lot of cooks in the kitchen. Is it really necessary? Terri Vaughan:60:55and you need to get in and take a look at that company. So that kind of thing everybody kind of watching and working together and caring about the solvency of the industry. Yes that's a powerful thing. David Wright:61:06Yeah and I have I'm at a reinsurance broker that we were bought by the insurance broking entity recently and I've gotten to know insurance agents and it is amazing to me the degree to which people are really aware of actually how bad it is when a company goes out of business and how hard it is for that to get figured out early enough really to act. David Wright:61:26act in a way that is going to be for everybody. Solet's talk about rating agencies just for a second. You know there is a few of them. Should there be more. I mean it's interesting that they tend to be kind of in that segment a bit of a monopoly maybe in the United States with AM Best. How does the regulator look at that rating agency because they are the one that overlap probably the most with what regulators do. David Wright:62:11and what about a world in which you say this is actually kind of come to an idea which manifests itself and say Germany or Japan or South Korea were all these companies all have stockholding and each other. Right. And so you can imagine a world where a regulator would say you know what all we're going to do is just force everybody to write each other's quarter share reinsurance and have indeed just have to be much more a version of of call it solvency regulation would be you just have more people. Making money off of regulating a company by taking a part of the result would that work? You think that's something that people think about? David Wright:62:52What do reinsurers miss that regulators care about. Terri Vaughan:62:57what do reinsurers miss that... I think regulators probably pay more attention to how consumers are actually treated in the marketplace. Terri Vaughan:63:07You know how quickly your claims paid and what happens to a policyholder complaints from a market conduct perspective what kind of advertising is the company using. I think they regulators probably pay more attention to consumer protections. David Wright:63:24So let me talk a bit about regulators and what's it like being working at a regular there's this perception that it's hard it's hard to hire quality talent at regulators because you can make more money in industry. Is that true. You think I mean what what's it like running into such an institution and how do you how and in what way do you look for talent. Terri Vaughan:63:41So it is true. Compensation is an issue, um, the, uh. When I became insurance commissioner I took a two year leave of absence from Drake and it turned into ten and a half years and that was because the issues were so fascinating. I just loved every day it was something new. It was you know you're on the front line of what's happening in the in the industry. They are coming to you with some new companies are coming to you all the time with some new idea. So it was fascinating. So what worked for me in attracting people was to try to say look just come do this for a little while. And yeah we can't pay the most. But you're going to get all kinds of experiences. And I think that's regulators try to use that. I think it does work but it's it's tough it's tough to get. You can't pay the salaries that you know the private sector can pay often. And so human capital in these regulatory agencies is a big challenge. Terri Vaughan:65:00You know what I always look for is somebody who is curious who wanted to learn. That's always been and I think businesses probably. That's also something that they're interested in is curious and wanting to learn things. Terri Vaughan:65:39That's a great question. That's a great question because I you know I was. That's a great question. What could we have done. That's a great question. We were trying to do so many things. Terri Vaughan:65:54and probably. You know I I I guess I was I spent a lot of time trying to figure out how these states and the NAIC fit together and how that was going to evolve over time in a way that. Kept this. You know what I said this diversity of thought diversity a perspective in the States is really really important. And when states have budget issues how do you make sure that you have that human capital at the state level so that you can maintain that diversity of them. And I think we could have spent a little more time on that a little more. The states were having a real. Bad budget issues and we used to talk about trying to partner with the National Conference of State Legislatures and NCOIL and in the Governors Association to try to help them understand better the challenges that the regulators are facing now. I don't think we made much progress. David Wright:66:57You mentioned earlier that you've made an allusion to how the NAIC may be keep may be growing importance and that I suppose relatively speaking means the states are receding in importance. David Wright:67:47the smart guys, like the federal government. David Wright:68:32My guest today is Terri Vaughan. Terri thank you very much for joining me. Terri Vaughan:68:35My pleasure. Thank you.